For a good while we thought these little guys got the ax. 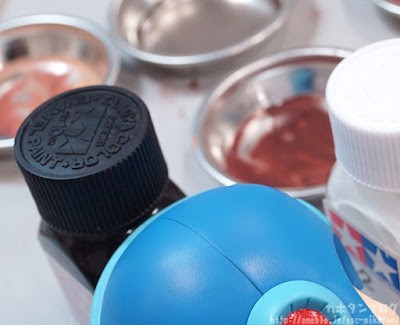 But today, after just launching their 7'' Mega Man line, Kidrobot has taken the veil off of the Mega Man Capsule Collection -- they survived where other Mega Man products have not. The Capsule Collection, which spans miniature figures and keychains, goes live on August 4th via Kidrobot.com. Price tags are expected to range between $5.99-6.99. 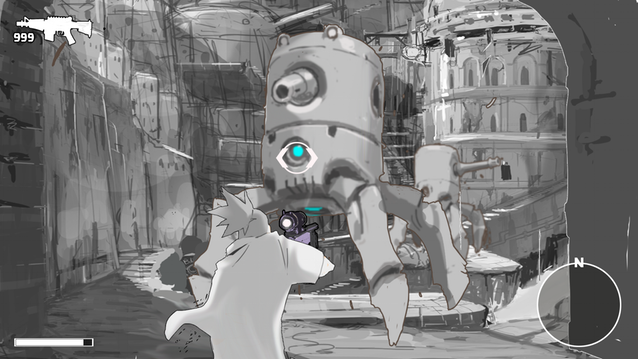 Red Ash - Play the Pre-Alpha Mockup Today! Red Ash backers and skeptics, take note. Comcept has released a playable build of the Red Ash mockup developed by HYDE, Inc. You can directly download it to your PC or play it in your browser via Unity web player. You'll find a rundown of both keyboard and game pad controls here. It's free to play for everyone, even if you're not a backer. Before you download, be aware this is a mockup in every sense of the word. It's pre-alpha for demonstrative purposes. 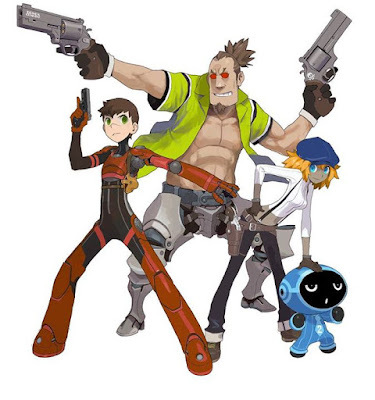 Although Red Ash is a third person shooter, no gunplay is present here. The mock-up is restricted to exploring a small world, interacting with townsfolk, objects, and discovering hidden secrets lurking in the shadows. The presentation is a little rough around the edges but that's expected at this point in development. This is a pretty nice surprise from Comcept. But once again I feel its arrival is a little too late in the campaign. I don't know if it will be enough to revive pledges. Red Ash currently sits at $477,936 of its $800,000 goal. Five days to go. Straight from the Wonder Fest showroom floor, here's our first good look at X-Plus Toys' super-sized Zero figure. I didn't think it was possible but he actually towers over X! I'd wager he's at least 14'' to 15'' tall! Release date, price to be determined. Watch this post for updates. Just a little tease from Good Smile. 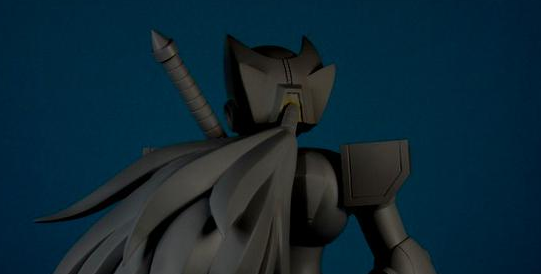 We'll be seeing more of this little guy later this weekend at Wonder Fest. Stay tuned! About time, right? Nine days to go on the Kickstarter, and Comcept has at last showed off some prototype Red Ash footage. HYDE Inc. produced this mock-up featuring Beck from Mighty No. 9 as a placeholder. It's early, it's rough but it gives you a basic idea of what they're going for. The new Mega Man animated series is still a couple years away, but that won't stop its creative force from talking about it. Sitting down with Comicbook.com, Man of Action Studios dishes on what they hope to do with the character. 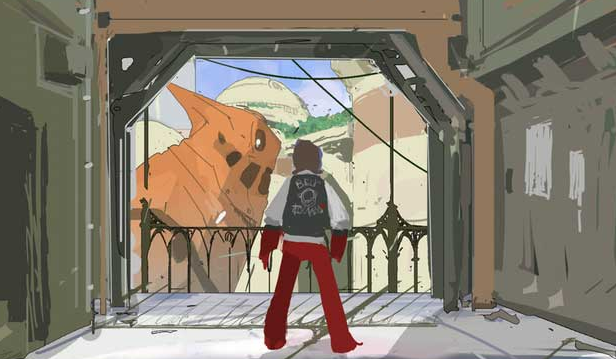 The Red Ash video game Kickstarter campaign is proceeding relatively slow as the clock ticks downs. In an effort to jump start funds, Comcept has confirmed a PlayStation 4 version. Presented as the most popular console in the backer-exclusive poll, the PS4 version will be developed alongside PC... for one million dollars. Comcept says other console versions are possible but, again, they need funding to make it happen. At this time Red Ash sits at just a little over half its $800,000 goal. Only ten days remain before the campaign closes. It will barely miss its goal at this rate, according to projections. These final days will certainly be imperative. All in all, today's announcement is a small step in the right direction. Unfortunately, a home console port/stretch goal should've been prioritized from the get-go. Too little too late? Mayyyybe. 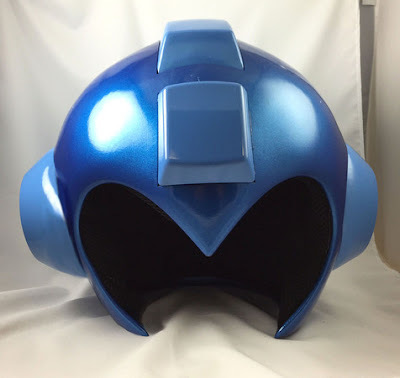 A few weeks back we got our first look at Capcom's official Mega Man helmet at SDCC. Today we have a few new images that should give you the final nudge to pre-order. If you're still on the fence, that is. 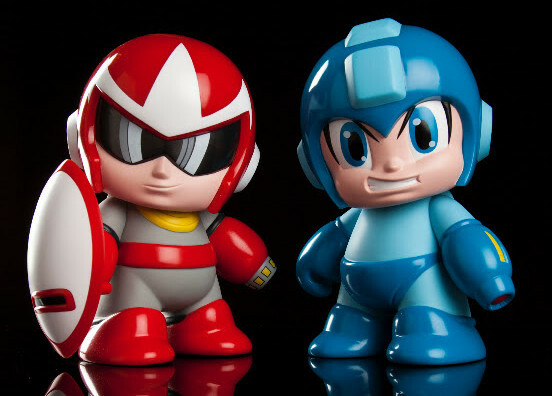 Earlier this month Kidrobot brought a pair of exclusive Mega Man figures to Comic-Con. 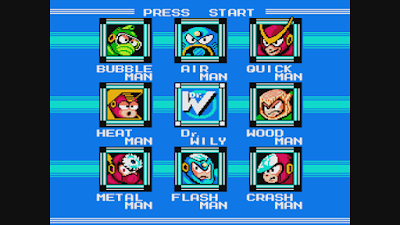 Today, the line officially launches with Mega Man and Proto Man. The 7-inch figures will run you $49.99 a pop directly from Kidrobot. Shipping is free within North America if you buy them together. You can find these guys in select stores next month too if you don't feel like waiting for the mailman. Four years ago today Mega Man Legends 3 was cancelled. 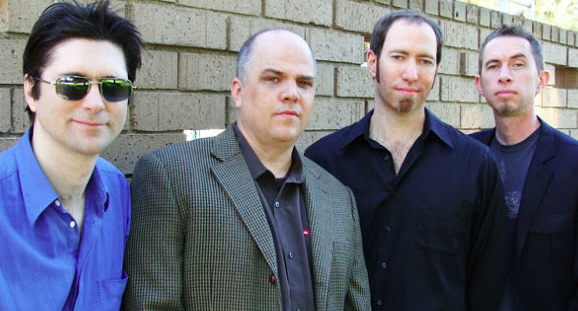 To honor its memory, the folks at Get Me Off the Moon (aka 100,000 Strong for Mega Man Legends 3) are launching two campaigns for the occasion. 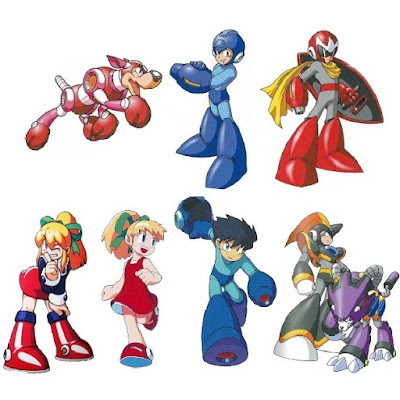 One is aimed at reviving Mega Man Legends 3, and the other is a Red Ash awareness campaign. For the latter, GMOTM will be collaborating directly with Keiji Inafune. Mega Man Legacy Collection won't be released until later this summer but it sounds like development is proceeding smoothly. Capcom Unity has provided fans with an updated look at the game since it's big E3 debut. New screenshots await you at this post -- chief among those, a new viewing mode called "Original." At E3 the game was presented in "Full" mode format (pictured right). Since then Capcom and Digital Eclipse added Original viewing mode (left). This mode presents the sharpest image possible for all six games in their original aspect ratio. The borders, themed after whichever game you're currently playing, are entirely optional. Hop over to Capcom Unity for the full lowdown! 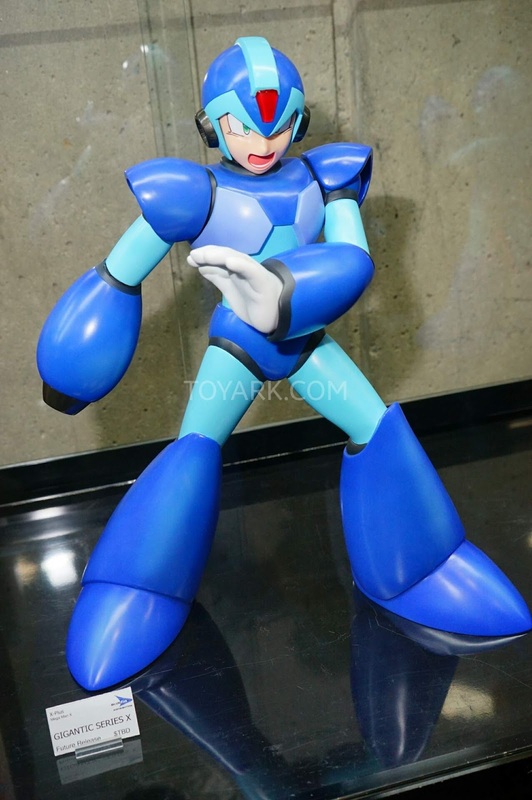 X-Plus Toys' 14-inch Mega Man X figure recently hit store shelves in Japan. Before you import, you might be interested to know it's coming to North America later this year courtesy of Bluefin Distribtuion. The good word comes from the San Diego Comic-Con showroom floor. 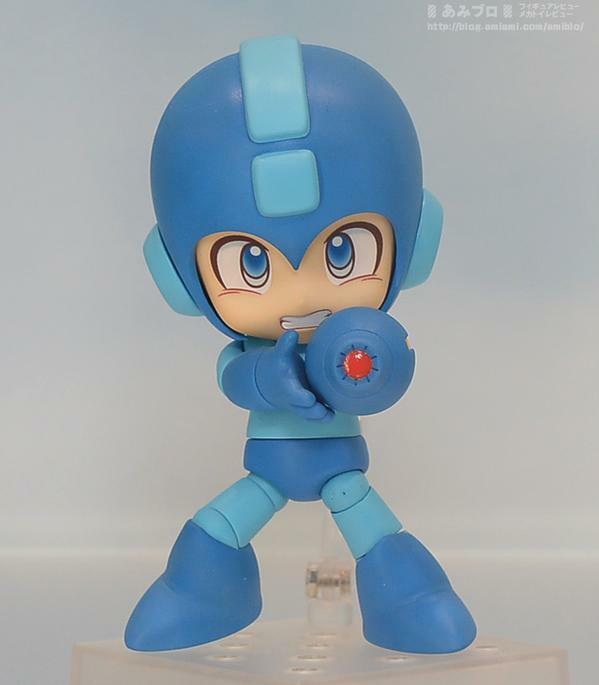 Bluefin is also gearing up to launch the 13-inch classic Mega Man figure later this year, too. Price and availability remains TBA. We'll keep you posted! Are you creatively impaired? 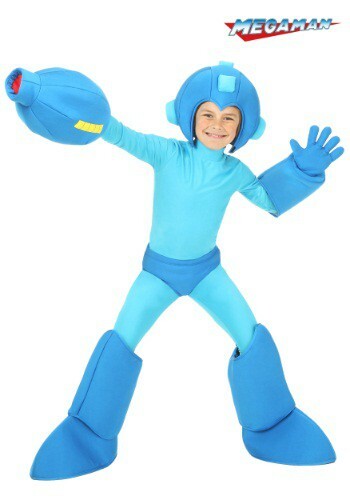 Can't make your own Mega Man costume? Well good news for you: licensed Mega Man costumes for kids and adults are becoming a thing. 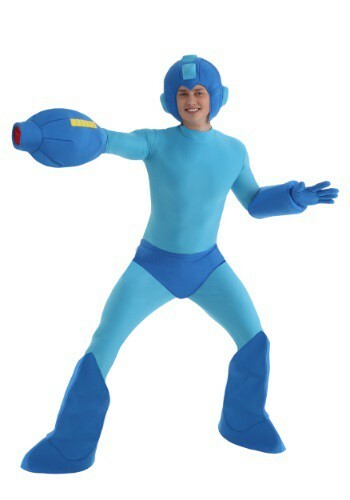 These costumes recently showed up on Halloweencostumes.com. The adult-cut runs for $68.99, kids at $54.99. Each are expected to ship at the end of this month, but it looks like they're sold out at the moment. Mind you, they're "exclusive" to this specific retailer. If you want one (or two), you'll have to keep an eye out for future stock. So yeah, interesting year for Mega Man goods. This won't be the end of it, I assure you. As a wise man once said, "Merchandising, merchandising!" It's where the real money is made. Mega Man Legacy Collection Art Contest - Six Winners Get the Game! Love drawing Mega Man stuff? 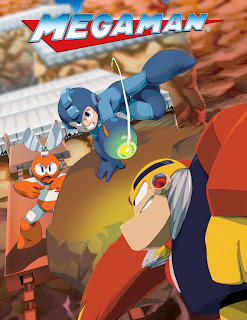 Want a chance to win a free copy of Mega Man Legacy Collection? Then head on over to Capcom Unity's Legacy Collection fan art contest. 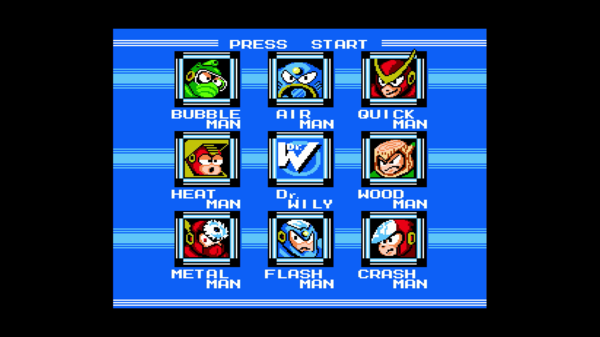 Your task is to "re-imagine" those original six NES Mega Man covers. On-model, off-model, whatever you choose. You can make a cover as bad as Mega Man 1 or a delightful masterpiece. It's up to you! Entries must be received by August 14th for a chance to win one of six copies of MMLC. Winners will be notified September 4th at the latest. Time's a-ticking, so get over to Capcom Unity for the details and get those creative juices flowing! Your inspiration is a pair of "new" covers designed by Chamba. Don't they look great? Make way, Monster Hunter! 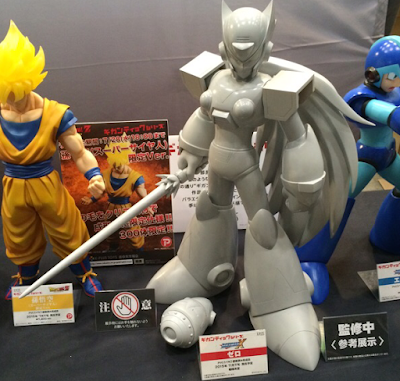 Capcom's popular Figure Builder line is about to get a little more mega. Leaked ahead of an official announcement, Play Asia is listing a Mega Man Figure Builder set planned to ship in December. 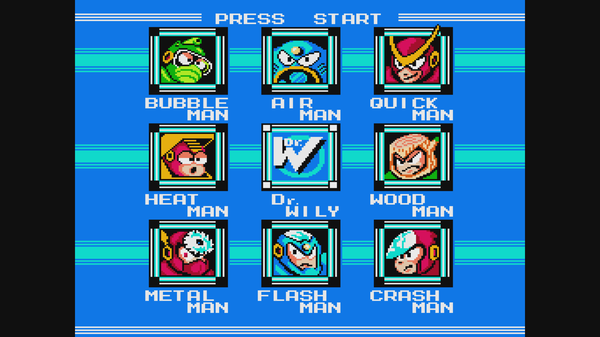 The $34.99 bundle contains six classic series characters: Mega Man, Rush, Proto Man, Roll, Mega Man 8 Roll, Helmetless Mega Man, and Bass/Treble. Each figure stands at approximately 70mm or 2.75 inches. Images of the figures themselves do not exist at this time. Pre-orders are live if you're interested. As per usual, quantity is expected to be limited. 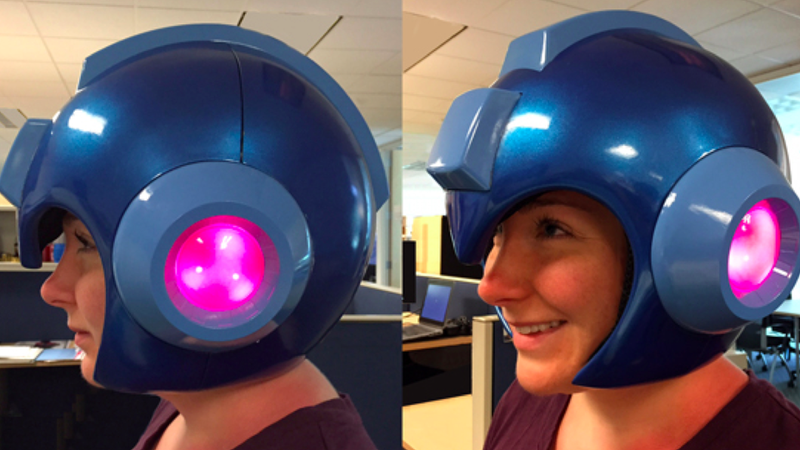 Among the many goodies at the San Diego Comic-Con Capcom booth, you'll find this beauty: an official, wearable Mega Man helmet. 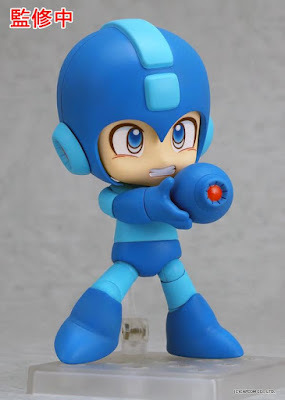 According to Capcom, the helmet it's "made of high quality ABS plastic with a high polish finish, authentic proportions and details, plus working LED lights! A unique clamshell hinge allows the front and back half of the helmet to easily open up to comfortably fit your head inside the soft padded interior for a perfect fit." The helmet will be on display at SDCC, with a limited run of pre-orders slated to hit Capcom's online store soon. No word on price but I'd wager $100+. UPDATE: Pre-orders are live! Get 'em while they last! Now if you want something a bit cheaper (and smaller), SDCC will play host to a 5-pack of mini Mega Man helmets. These are the same helmets that appeared in Loot Crate earlier this year. Their 1/64 scale... perfect for desktops! 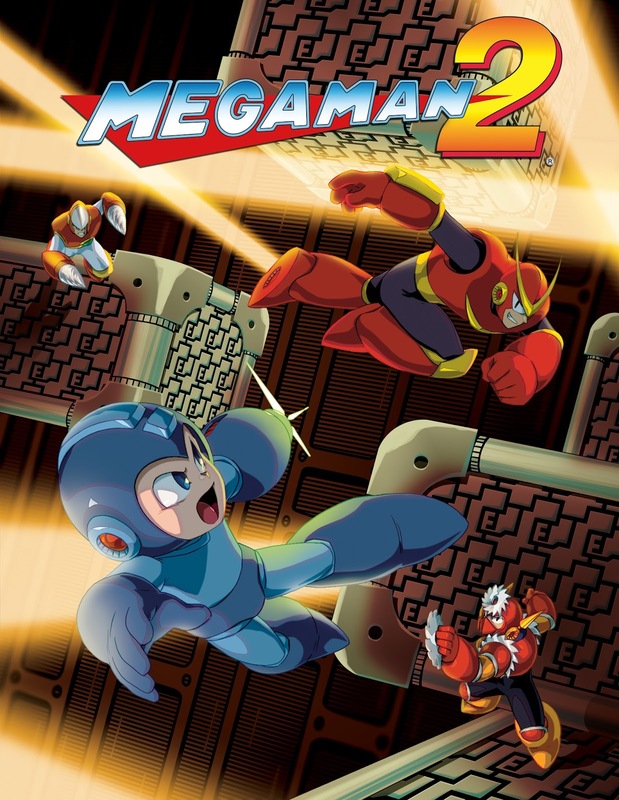 You thought Keiji Inafune would stop at a cartoon? Ohhhhh no. Legendary Digital Media, Contradiction Films (producers of Dead Rising: Watchtower), and Comcept today announced they are developing a live-action movie based on Mighty No. 9 for digital platforms. "The announcement that Legendary Digital is collaborating with Contradiction and Comcept on creating a live action project based on Mighty No. 9 is really amazing, not only for myself and the rest of the team at Comcept who worked on the game, but also for all the fans who have supported the project,” said Keiji Inafune. “This collaboration will give our creation the ability to reach people all over the world. Thanks to all of your support, we have fulfilled another one of our dreams." This announcement comes two months ahead of Mighty No. 9's release -- September 15th in North America, September 18th in Europe. Not one to wait, Keiji Inafune is quickly earning himself a trigger happy reputation. It's worrisome, if you ask me. Keiji Inafune's Red Ash: The Indelible Legend is described as an action-adventure romp along the lines of Mega Man Legends. However, seeing is believing. To give fans a better idea of what they're hoping to achieve, Comcept has posted the above mock-up of what Red Ash will look like. No footage or renders here. This is a mock-up in every sense of the word. Red Ash is indeed an action-adventure with third-person elements, a clear evolution and modernization of Mega Man Legends' combat. It will probably be quite a while before we see the game in action. In the meantime, you can learn more at the Red Ash hub. You saw the teaser now check out the real deal. Red Ash was officially revealed today at AX2015 by former Mega Man producer Keiji Inafune. A collaborative project by Comcept and Studio 4℃, Red Ash strives to be the spiritual successor to Mega Man Legends... and then some. 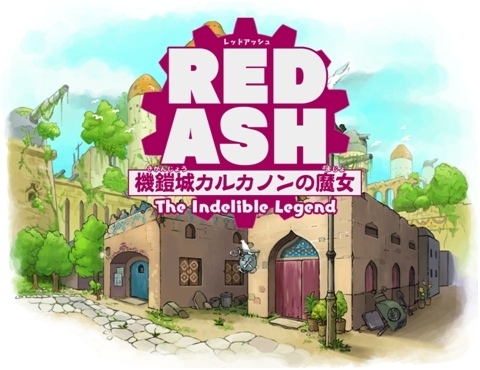 'Red Ash' Revealed: Inafune's Spiritual Mega Man Legends Successor? Hold on to your butts. 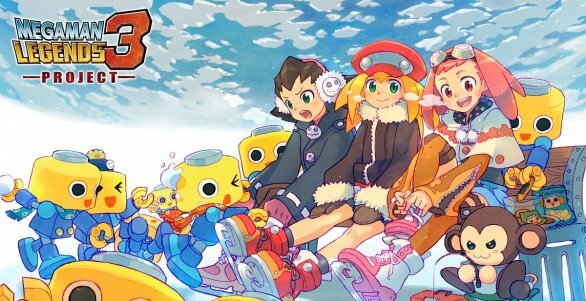 Keiji Inafune and Studio 4°C's next project has leaked ahead of Anime Expo... and it looks to be a spiritual successor to Mega Man Legends. Well, well. It looks like someone sorted out those nasty licensing issues because Rockman X6 is coming to PlayStation Network in Japan. It's set to launch next week on July 8th. Yay? Curiously enough, it was only a few weeks ago we learned the game was having trouble hitting the digital storefront. And what do you know, Brett was right: sometimes these legacy titles just creep up on us. We can't say for sure if this means the game gets a pass in North America (or Europe) too, but we'll keep an ear out.